Evy Laura Maurice Slabbinck is a Research Associate and tutor at the Institute of Building Structures and Structural Design at the University of Stuttgart. She obtained the degree “Master of Science in Architectural Engineering” at the Vrije Universiteit Brussel and Université Libre de Bruxelles in 2014, and also holds a Master of Science from the University of Stuttgart obtained in 2015. 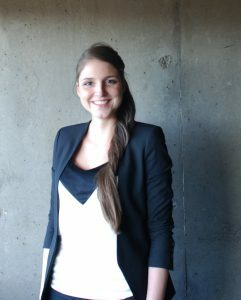 She gained her professional experience in various international practices, including Bollinger + Grohmann, and Teuffel Engineering Consultancy, where she worked as a membrane engineer and computational specialist in several international projects. Evy´s interest lies in structural and parametric design, form-finding, and bending-active tensile structures. She published and presented her work at international conferences and in international journals, including IASS and IABSE. She started her research under supervision of Prof. Dr.-Ing. Jan Knippers in September 2015 as part of the Innochain PhD research network. Her research project focuses on multiple states of equilibrium for bending-active (tensile) structures in collaboration with Foster + Partners and Mc Neel Europe.